Winters definitely makes me lethargic even to extent of skipping parlor. But these unwanted hair on arms and legs doesn’t feel sleepy at all. These little demons comes back to scare me. If I am not going to parlor than I need something to clean hair on legs and arms. I am always up for trying out new products in market so my quest lead me to try out Elois Hair Removal Cream. About the product – Elois Hair Removal Cream is creation of Prem Henna whose So Silk Shampoo I reviewed on blog few days back. 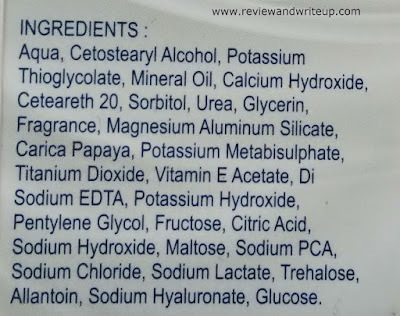 I am still loving that shampoo and have already bought some more online. Have you also bought some? If not then buy it soon, it’s really a good shampoo. 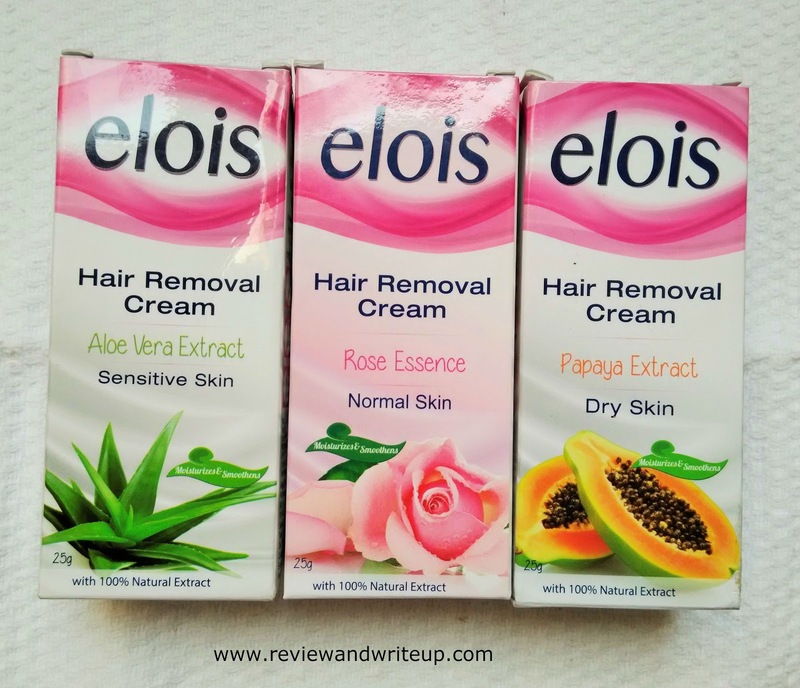 Elois Hair removal cream comes in three attractive variants Aloe Vera Extract for sensitive skin, rose essence for normal skin and papaya extract for dry skin. Packaging – Elois Hair removal cream comes packed in a nice cardboard box which looks very attractive due to its print, design, colors. The actual cream is housed in a plastic tube which is sealed to validate virginity of the product. 25gm tube of elois is priced at Rs. 40 only. 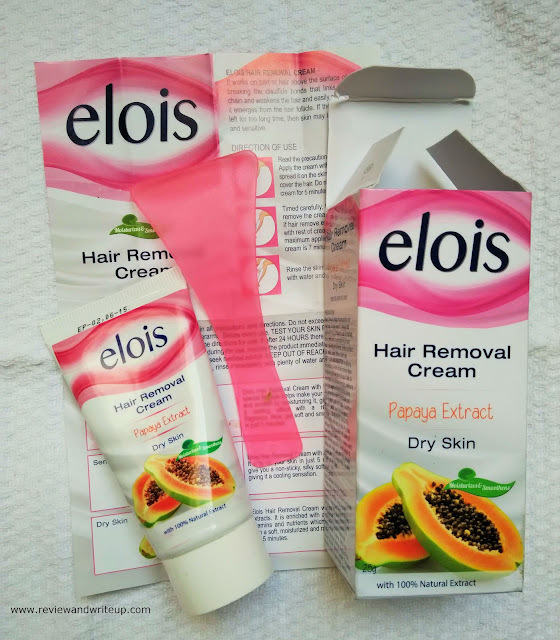 Claims of the brand – Elois hair removal cream is enriched with antioxidant, vitamins & nutrients which leave skin feel soft, lustrous & moisturize your skin make it smooth in just 5 min. 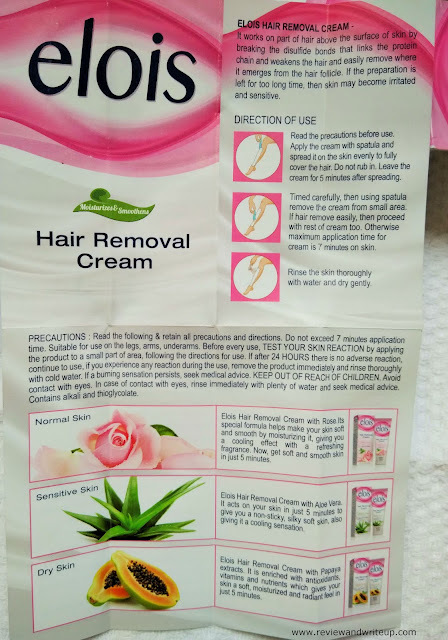 My experience with the product – Elois hair removal cream is smooth in texture and white in color with slight pungent smell which normally all hair removal creams has. 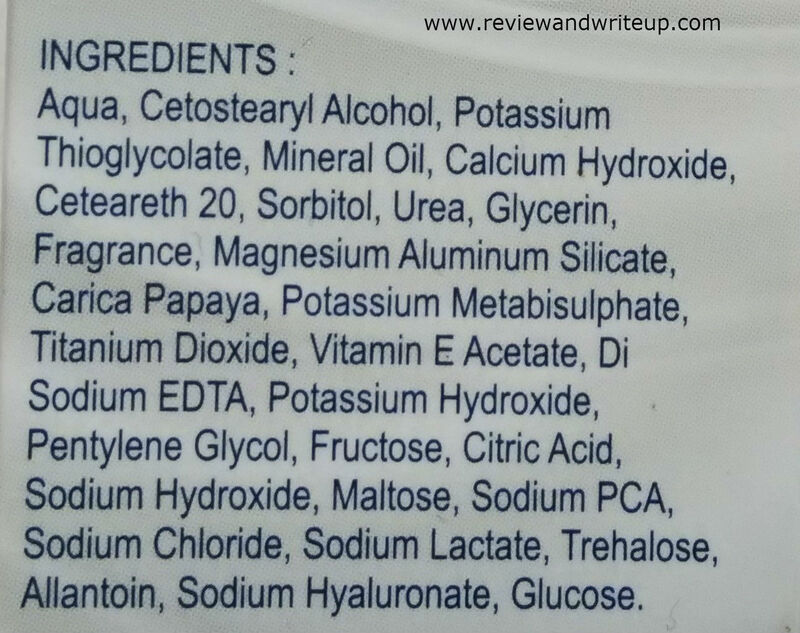 I did a patch test on Friday and after examining that there was no reaction of cream on my skin I used papaya extract variant for my legs and my legs skin is super dry. One tube of 25gm is sufficient for half legs. I applied the cream using spatula in the direction of hair growth. I timed for 6 minutes. Cream leaflet says for 5 min and maximum 7 min so I carefully chose 6 min for me. 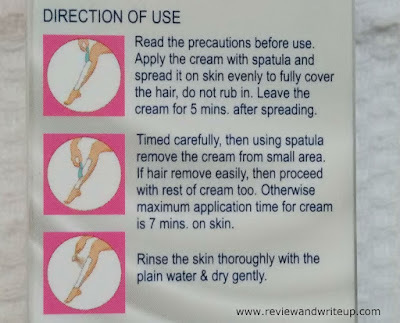 After 6 minutes I removed the cream using the spatula and cleansed my legs with wet towel. I was initially doubtful whether it will remove thick hair or not. Thanks to Elois all thick hair were also gone. It’s good to wash. But I had to take shower after one hour so skipped washing it first. Hair comes out very easily and my skin was soft and smooth. In total ten minutes I had hair free skin. Whole winters I am using Elois only. If I do cost benefit analysis I am at win win side. In merely Rs. 40 I got hair free skin. I haven’t faced any irritation post its usage. 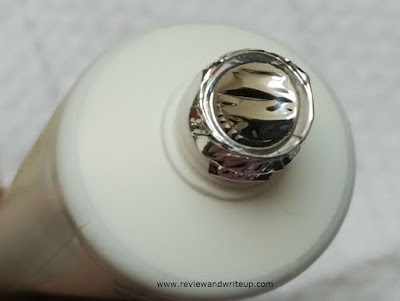 R&W Recommendation – Are you suffering from winter lethargic fever like me then you definitely need this cream. It’s a nice, decent way of hair removal. Eek wish it didn't have a pungent smell. Yea.. which is why I'm not a fan of Veet or any other hair removal cream too. Nice review..i don't like smell either..